The Norwegian Government Pension Fund has slowly ramped up its response to deforestation concerns within its portfolio. The Fund has a history of addressing risks in sectors and companies that it considers prone to long-term risks. This included companies that face elevated risks from environmental, social, and governance (ESG) issues. Between 2012 and 2015, the Fund dropped investments in 29 palm oil companies. In 2016, this focus expanded to included pulp and paper, leading to a decision to exclude four additional pulp and paper companies from the Fund’s portfolio that year. The Fund’s 2017 annual report stated that for the first time, the Fund excluded a soy company due to deforestation, suggesting continued concern over risks in the forest sector. Soy production: The production of soy has been linked to deforestation in Brazil, as previously forested areas are converted to agricultural land. Certain land conversion practices can result in increased greenhouse gas emissions, reduced biodiversity, increased water stress and pollution of existing water sources, as well as negative impacts on local communities. Evolving standards, such as the Round Table on Sustainable Soy, aim to mitigate the negative impacts of soy production. When assessing companies, we consider the geographical footprint of their operations, the percentage of the business linked to the production of soy and other agricultural commodities, documented land conversion activities and the percentage of their operations certified by the Round Table. Our analysis resulted in the divestment from one company in 2017 (emphasis added). The Fund’s decision is an important signal that institutional investors have a growing awareness of risks due to ESG concerns in the forest commodity section. Large discrepancies between soy growers and their investors and financiers could lead to more expensive financing and shrinking customer bases for companies that fail to adopt strong ESG policies. In Q4 2017, the Norwegian Government Pension Fund sold its position in SLC Agrícola, unwinding its USD 26.9 million equity position. The Fund first initiated its investment in SLC Agrícola in Q4 2012 with a position valued at USD 30.5 million. Since then, its position has fluctuated from a low of USD 6.3 million in Q4 2014 to a high of USD 35.4 million in Q4 2015 before being closed out in Q4 2017. As per its long-term policy regarding any investment decision, the Fund gave no public justification for this sales decision. 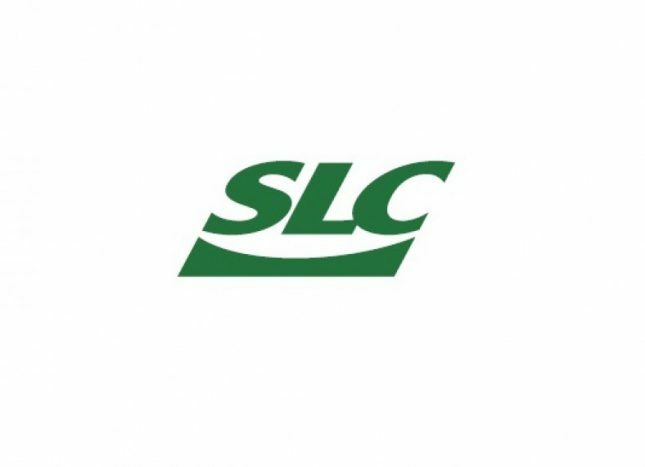 On March 8, 2018 SLC Agrícola reported strong Q4 2017 earnings with adjusted net revenue up 22.7 percent year-over-year because of improved conditions in its corn and cotton business. The company’s net revenue grew 15.4 percent to USD 221 million year-over-year (excluding accounting for biological assets). Soybean sales decreased 1.0 percent to USD 31 million year-over-year, although this could be due to lower soybean prices. A September 2017 report by Chain Reaction Research examined links between SLC Agrícola and deforestation in Brazil’s Cerrado region and suggested the company could risk losing access to clients if it does not adopt stronger no-deforestation policies. SLC Agrícola has a large geographical footprint. It owns 323,000 hectares (ha) and operates 15 farms in six states in Brazil: Mato Grosso, Goiás, Bahia, Piauí, Maranhão and Mato Grosso do Sul. Since 2011, the company has cleared over 30,000 ha of forest in the Cerrado region of Brazil.